Universal Pictures Home Entertainment presents "American Made," the international escapade based on the outrageous (and real) exploits of a hustler and pilot unexpectedly recruited by the CIA to run one of the biggest covert operations in U.S. history. This Rotten Tomatoes “Certified Fresh” and explosively entertaining film is available on Digital December 19, 2017 and on 4K Ultra HD, Blu-rayTM, DVD, On Demand and via the all-new digital movie app MOVIES ANYWHERE January 2, 2018. 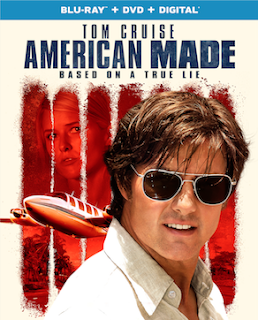 With over 30 minutes of exclusive extras on the 4K Ultra HD, Blu-rayTM and DVD, "American Made" is a can’t-miss, must-own event, bringing viewers behind-the-scenes for a look at the making of the film, as well as astonishing insights about the real Barry Seal. Tom Cruise (Top Gun, Mission: Impossible Series, Jerry Maguire) reunites with his Edge of Tomorrow director, Doug Liman (The Bourne Identity, Mr. and Mrs. Smith), as Barry Seal, an American pilot who became a drug-runner for the CIA in the 1980s. "American Made" co-stars Domhnall Gleeson (Ex Machina), Sarah Wright Olsen (Walk of Shame), Jesse Plemons (Black Mass) and Caleb Landry Jones (Antiviral). 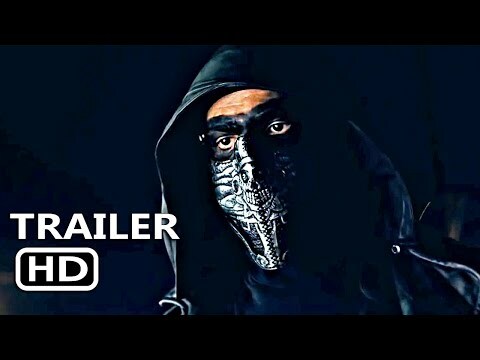 The film is produced by Imagine Entertainment’s Academy Award®-winning producer Brian Grazer (A Beautiful Mind), Cross Creek Pictures’ Brian Oliver (Black Swan) and Tyler Thompson (Everest), Quadrant Pictures’ Doug Davison (The Departed), and Kim Roth (Inside Man) with a screenplay by Gary Spinelli (Stash House). The film will be available on 4K Ultra HD in a combo pack which includes Ultra HD Blu-rayTM, Blu-rayTM and Digital. The 4K Ultra HD will include all bonus features on the Blu-rayTM disc.